You could say honey runs through John Piechowski’s veins. 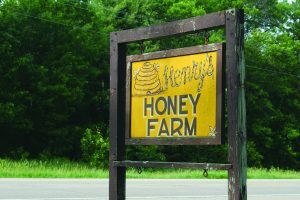 As an owner of Henry’s Honey, the Waushara County Farm Bureau member is one of Wisconsin’s few full-time beekeepers. Henry’s Honey started as a few hives, meant to provide a sweetener for a farm family’s meals during the Great Depression. By World War II, John’s father and uncle were providing beeswax for the war effort. Today, the rural Redgranite business has about 1,400 hives, down from a peak of 3,500. John works full-time with his son, Dan. Another son, Ron, helps when he can. “We do everything from starting the bees, to bringing the honey in, to packaging the honey and selling it,” Piechowski said. The business also owns and operates Wisconsin Cooperative Pollination Services which transports bees regionally for the commercial pollination of crops and also offers custom extracting to local beekeepers. They package honey at least twice per week for a variety of customers. Most of their products are sold in Wisconsin at farmers markets, niche food stores and local grocery stores. The business (and amount of bees) has always stayed a size the family could handle. John said since his grandkids now own some bees; the farm has reached the fourth generation. 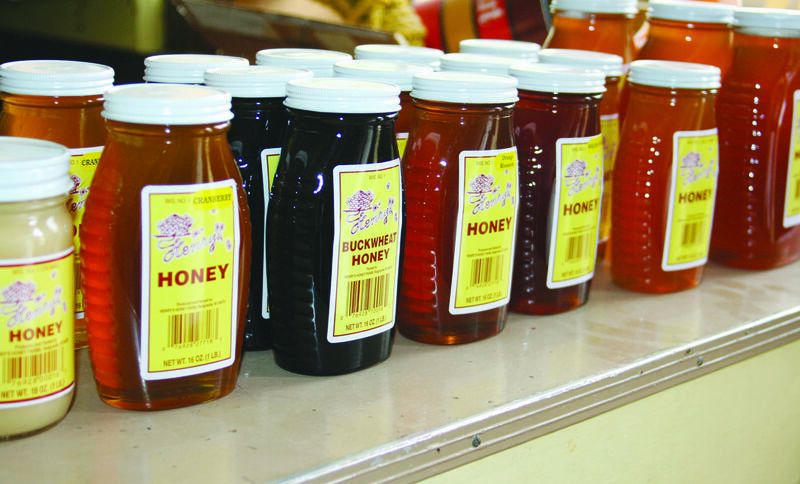 People and products have influenced the bottom line for Henry’s Honey over the years. Many have come and gone from Henry’s Honey but the family aspect has remained. The high school and college students they hire say they miss it when they leave for other jobs. He has also met people in the business who have become more friends than colleagues. “I’ve got friends that I met awhile back because of bee keeping and I still have them,” Piechowski said. John explained that while Wisconsin has a nice variety of flowers and creates what he considers the best tasting honey in the country, it is important for him to do business out of state. By using many resources John has the opportunity to sell a variety of products. Some of the specialty flavors Henry’s Honey carries are wildflower, basswood, orange blossom and buckwheat (John recommends this for an easy and effective cough remedy). Another popular product that John raves about is whipped honey. By softening honey and mixing in liquid honey for about 45 minutes it creates a creamy honey substance which they bottle and sell. John reports that right now honey prices are good but when they aren’t he can rely on extra income with the pollination services. John works with cranberry, blueberry, apple, cucumber and zucchini growers to help them pollinate. “Some growers can double the yield by putting bees on it,” Piechowski said. “We’ve had our ups and down. It’s sometimes a challenge to keep bees. It’s education that gets you through that,” Piechowski said. John went on to share that the brunette woman named Marilyn became his wife in 1965. It was the same year he joined the Waushara County Farm Bureau board of directors. The year they wed, three other couples from the young farmer committee (now called the Young Farmer and Agriculturist Committee) also married. John has many fond memories from his time on the young farmer committee and other Farm Bureau activities. John and Marilyn have always been active in 4-H and Farm Bureau. The fall of 2015 will mark his fiftieth year on the county board. During his tenure he has served on numerous committees including the state policy development committee and while in existence, the bee and honey committee. Want to learn more about Henry’s Honey? Or on Facebook: Henry’s Honey Farm. Story by Amy Manske. Original version appeared in the August/September 2014 issue of Wisconsin Farm Bureau Federation’s Rural Route.